Choudhry &Franzoni Law Firm is a law firm with strong community ties in New York. Based in New York City and Long island, our firm is qualified to represent individual clients from around the world who have the need to unite family members, flee persecution, further their education, or build careers. 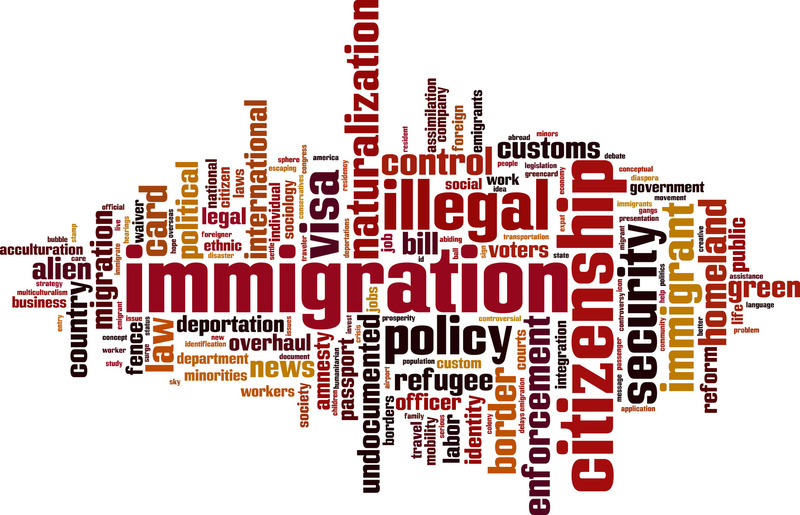 We provide able assistance in all areas of immigration law: temporary working visas, a green cards, and US citizenship. We are well able to advocate on your behalf and assist you with representation in Immigration Court or in Federal Court. Utilizing the resources, knowledge, and creativity necessary for success, we can help you and your family members achieve your dreams in this great country. Our knowledge of U.S. immigration laws and procedures allows our clients to obtain temporary visas and green cards through marriage, relatives, employment, investment, and the green card lottery. The most common types of visas, employment-based and family-based, will permit clients to enter or remain in the United States. Employment-based visas grant a non-U.S. citizen the right to work in the United States and may allow spouses and children to sometimes accompany those employment-based immigrants. Based on an immediate relationship to a U.S. citizen, a family-based visa confers lawful permanent resident status to a foreign national. 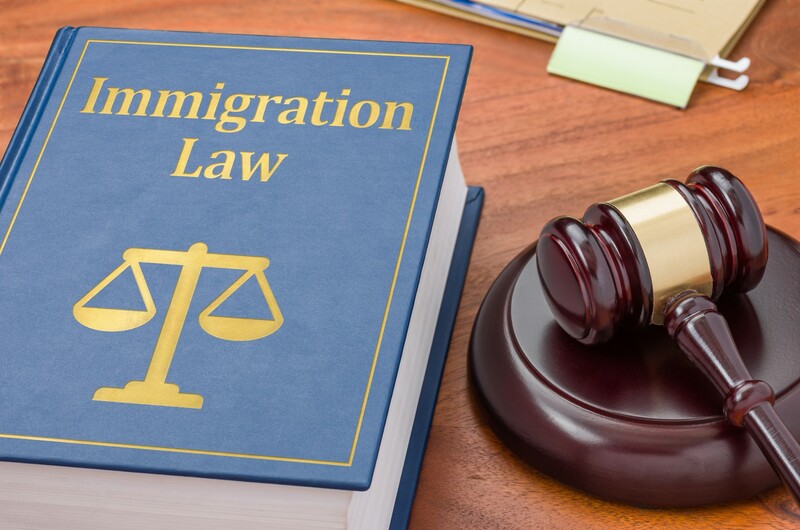 Qualified Immigration Attorneys of Choudhry & Franzoni, PLLC are only a phone call away, for any immigration case consultation call now 212-529-8000. Please Click on one the links below to learn more about our services. We fight hard for each and every client, we strive to deliver the very best possible and nothing less. Please take a moment and read through our website to learn more about how we can help you. To serve out client’s needs we have two convenient locations, New York City and Long island. Our Long Island office is located in Hicksville; please visit our Contact Us page to set up an appointment for a free legal consultation for your Immigration Case. Our knowledge of U.S. immigration laws and procedures allows our clients to obtain temporary visas and green cards through marriage, relatives, employment, investment, and the green card lottery. The most common types of visas, employment-based and family-based, will permit clients to enter or remain in the United States. Employment-based visas grant a non-U.S. citizen the right to work in the United States and may allow spouses and children to sometimes accompany those employment-based immigrants. Based on an immediate relationship to a U.S. citizen, a family-based visa confers lawful permanent resident status to a foreign national. Our Immigration attorneys will fight hard for your legal rights. Please call 212-529-8000 immediately for a free consultation. 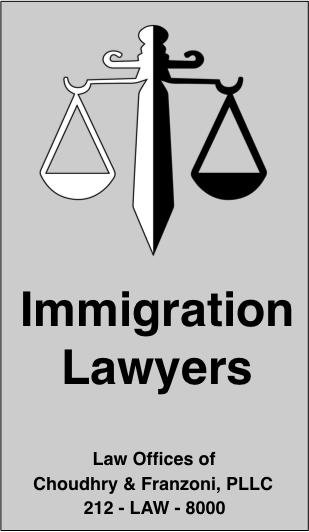 To have a consultation with a qualified immigration lawyer please call us now at 212-LAW-8000 (212-529-8000).